With the government making nothing but false claims, the challenge of eradicating plastic from India is getting more difficult by the day. Much has been touted by the ruling establishment in India about its commitment to meet the challenge of plastic pollution. Prime Minister Narendra Modi, in one of his tweets on the World Environment Day, exhorted the people to ensure that the “future generation lives in a clean and green environment.” Plastic pollution was the theme for this year’s environment day. Experts working in this field have however been sceptical about the manner in which the GOI is heading. Plastic pollution is a real challenge and scientists have alarmed the world about the threat imposed by extensive use of plastics in real life items. 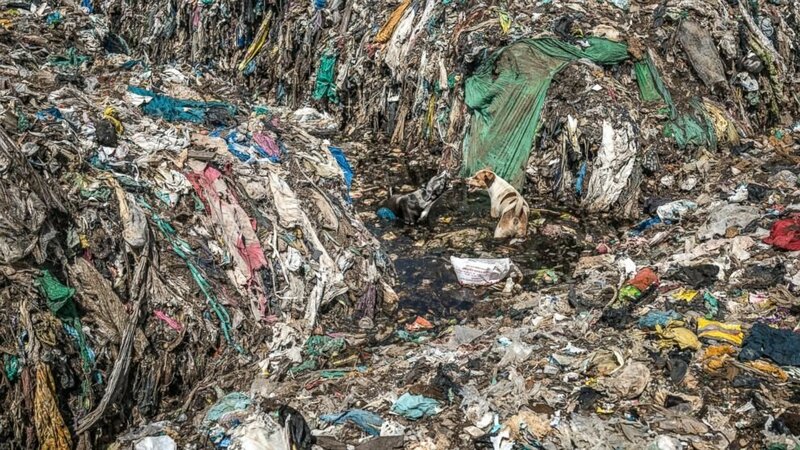 Raghu from the Delhi Science Forum writes that today, nearly 300 million tonnes of plastic is produced in the world which is equivalent to the weight of the entire human population on the globe. Micro plastics have been found in 83 percent of drinking water samples collected from all over the world and after US and Lebanon, India is ranked third in this regard. The situation is precarious and just passing a token statement on the World Environment day will hardly serve any purpose. Plastic has a ubiquitous presence in our lives. No doubt it has revolutionised convenience. It has played a critical role in technological advancements— from computers to the replacement of heart valves— but now it has become a threat to plants, animals, marine and human life, and hence interventions and regulations are required. Given the huge consumption of plastic in everyday lives, a complete ban on plastic might not be possible. However, the individual usage of plastics—which comprises almost 40 percent of the total plastic production— can easily be done away with and this small step can prove to be more useful than the false claims made by the Modi led government. After all, the campaign and target on plastic reduction must not fall flat as it did for the Swach Bharat Abhiyan. Even though there is a complete ban on coloured polythene bags in India, one can find them in abundance in almost every part of the country. The state of Himachal Pradesh — in the Himalayas and particularly its capital city Shimla— has shown the way in which an effective ban on all forms of polythene bags can be implemented. The journey to control polythene in Himachal Pradesh started in 1995 when the HP Non-Biodegradable Garbage (Control) Act, 1995 was formulated. In 1999, this then led to the imposition of a ban on traders, retailers, and vendors in Himachal, for using coloured polythene carry bags manufactured from recycled plastic. However, a partial ban could not deliver the desired results and so in 2011, the state government completely banned the use of polythene in all its forms. Many of the one-time use plastic items like plastic cups, glasses, plates, spoons etc. were covered under this order dated March 19, 2011. The HP High Court was also pro-active and in one of its order in the CWP titled ‘Sanjeev Kumar vs Union of India and others’, the court asked the government of HP to take more stringent measures. In accordance to this order, in June 2013, the government further imposed prohibition on the traders, retailers, and vendors in the state of HP and this covered everything from storage to supply, to sale of non-biodegradable plastic material in the state. The enforcement of this order was more interesting than the order itself. Earlier, only the officers had the punitive powers of compounding for using such plastic material. However, with the 2013 order, there were multiple agencies who were assigned the task of compounding users and vendors carrying plastic material which was covered under the above definition. The three main agencies were the pollution control board, the local bodies, and the police. The drive was massive in the initial days and in Shimla, nearly 1162 cases were registered and a sum of Rs. 9,48,950 was generated through this exercise. Both, the state government and the city were serious about it. In the meantime, massive campaign took place to create the consciousness of dissuading people from using plastic bags. This complete ban was implemented not just on the production of plastic bags but also on the sale of such polythene bags within the state territory. Initially, there were cases of polythene bags being smuggled into the state from the borders of Punjab and Haryana, but soon there was a crackdown which restricted their sale in the state. This has created another small-scale industry where hundreds of families, especially in the urban poor households, started manufacturing bags made out of newspapers and they are now widely used in the state. Despite an effective ban and its implementation, the challenge is immense, especially for a mountain state since there are many plastic packaged goods (Maggi, milk packets etc.) that cannot be banned. Thus, there is a need to find new methods of packaging that can also motivate the packaging industries to avoid or at least minimise the use of plastic. Eliminating plastic bottles is also a challenge since water and other beverages are almost always packed in plastic bottles. It is interesting to note that when the state decided to ban plastic bottles (2014-15) completely, a big lobby of the beverages in the country played a significant role in not letting that happen. Alternatives were suggested where a buy back scheme will be put in place to effectively consume the plastic bottles. However, this could never be successfully implemented and the reality is very grim with thousands of bottles littered all over the place. Also Read: The problem of plastic pollution has indeed reached monstrous proportions, and it is high time the crisis was tackled on a war footing. According to an estimate, one million water bottles are bought every minute around the globe. However, the question is, Why should one buy water in a bottle? The obvious answer is that one cannot consume water from just any source and hence bottled water is a safe way of drinking water. It is here that an engagement with the state is required for the simple reason that if one goes through the mandate of either the parastatals or the municipalities responsible for distribution of water in the cities and the villages, it is clearly mentioned that they are supposed to provide potable water. If that is the mandate then why is it that people still have to purchase bottled water? This debate of reducing plastic and providing potable water is also interconnected. There has to be a some protocol on the availability of drinkable water so that the consumers are not forced to buy packaged drinking water which can also be harmful since micro plastics have been profoundly found in water samples. While the wonder substance called plastic has evolved, it now threats the basic evolution of the mankind and hence must be eradicated. The leaders and the members of the Left parties in Himachal Pradesh are stepping up to help the medical colleges in the state.